Polymax FKM/Viton® rubber cord belongs to fluoroelastomer category of elastomers. This rubber cord offers excellent resistance to a wide variety of corrosive fluids at elevated temperature without major degradation. 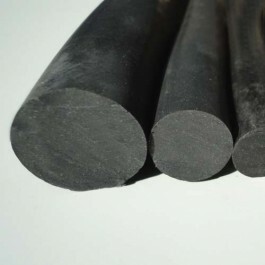 Polymax FKM/Viton® rubber cords have excellent resistance to ozone, oxygen, have good mechanical properties and low compression set. Polymax Viton® rubber cord is not suitable for contact with molecular weights ketones and estens (e.g methyl ethyl ketone). Due to its specialist properties FKM/Viton® is much more expensive as compared to other elastomers. The terms FPM, FKM and Viton® very often cause confusion and lead to incorrect interpretations. All of these designations actually stand for one single base material:fluoro rubber.